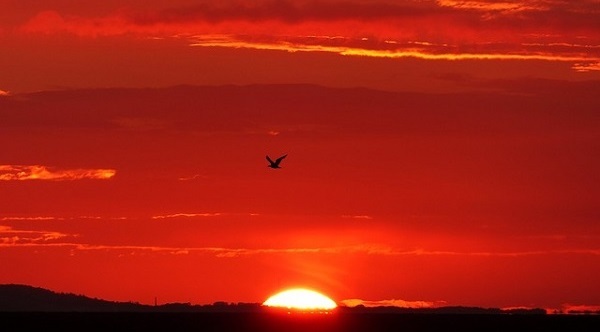 Westward declined the sun; the sunset’s afterglow tinted half of the sky and the evening glow appeared especially beautiful and dazzling. Su Mingyue, sauntering on the pebble road in the park, looking thoughtful, didn’t have the heart to enjoy such a brilliant scenery. A breeze stirred the tips of the trees, golden falling leaves dropping with the wind. This scene was just like her mood at that time. She was thinking: Over the past twenty years in serving the Lord, I have often sinned, but I believe firmly all along that the Lord has already forgiven the sins of us humans. And as long as I stick to working and preaching for Him, I will change in an instant and become holy, and then be raptured into the kingdom of heaven when He comes back. Yet … the scenes just now, just like motion pictures, were swimming into her mind. “Oh, what’s it? Speak please. Let’s seek and fellowship together.” replied Su Mingyue, staring at Lin Muzhen, seemed much burdened. Listening to Brother Lin’s words, Su Mingyue, clenching the pen in her hand, was startled, thinking: Such is indeed the universal condition of the brothers and sisters in the church now. I’ve been preaching the doctrine of justification by faith these years, but the believers become decreasingly dispirited and weak, fewer and fewer of them having meetings but more and more having a fondness for this world. My son and daughter-in-law serve mammon and God at the same time, and how much more others. When those believers were persuaded to hurry to repent to the Lord, some of them said, “Unbelievers though we look like, yet the Lord won’t forsake us when He returns. He will change our image in an instant, allowing us to become holy and to be raptured into the kingdom of heaven.” Now the majority of the believers are farther from the Lord. Can such belief in God be compatible with the will of the Lord? Some agreed, “Right! I have the same feeling.” Others, “That is just what I’m thinking.” Deep in thought, Su Mingyue gave no reply. Sun Wangu and Hu Peng looked at each other, speechless. Sun Wangu and Hu Peng stared at each other, embarrassed and ashamed. The others nodded their agreement in succession. Looking at Yang Xinjing, Li Zhi asked, “Sister Yang, what do you think of that?” Hearing Li Zhi’s inquiry, everyone looked at Yang Xinjing and waited for her reply. She said gently, “I agree with the viewpoint of Sister Zhang and Brother Chen. We’re forgiven of our sin in believing in the Lord Jesus, which is justification by faith; this is right. Yet the people who are justified by faith often sin and have no true repentance; is that after the Lord’s will? People of this kind still look forward to being raptured into the kingdom of heaven; I think it seems impossible, for the Lord Jesus never said people of being justified by faith can enter the kingdom of heaven. With regard to which type of people are to be raptured into the kingdom of heaven, the Lord Jesus’ words show clearly, ‘Not every one that said to me, Lord, Lord, shall enter into the kingdom of heaven; but he that does the will of my Father which is in heaven’ (Mat 7:21).” How obvious the Lord Jesus’ word is! 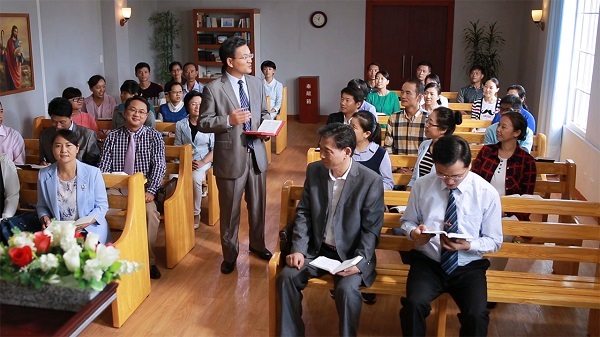 Only those who practice the Lord’s words, walk His way and thus obey His will can enter the kingdom of heaven; that is the unique condition of entering the kingdom of heaven predestined by the Lord Jesus. Judged by our practical situation, we haven’t practiced more of the Lord’s words, nor have we kept His commandments. We don’t possess this basic condition of entering the kingdom of heaven. Additionally, we always can’t help but tell lies, cheat others, hate and envy others inwardly, have greed and evil thoughts, and complain against and judge the Lord when meeting unsatisfactory things. Measuring our conduct, we are not the people who obey God’s will. People like us can really be changed in an instant and be raptured into the kingdom of heaven when the Lord returns? It is merely possible for those who obey God’s will to be changed immediately and be raptured into the kingdom of heaven. If we, who often commit sins, are to be raptured into the kingdom of heaven, how can the word of the Lord Jesus be fulfilled and realized? In the opinion of me, it is possible that the word said by Paul, “in a moment we shall be changed,” will be fulfilled on the apostles and disciples of the Lord Jesus; while it is impossible to be fulfilled on us. This is my point of view. “Sister Su, wait, please.” Yang Xinjing’s shouting interrupted Su Mingyue’s thinking. Yang Xinjing quickened her pace to catch up with her. “What’s wrong with you? You seem to be thoughtful. You didn’t hear my shouts.” Yang asked, looking concerned. Is the Goal of Being Caught Up in the Air Achievable? Let’s seek the issue “whether or not we can be caught up in the air,” there must be mysteries in our rapture into heaven to meet with the Lord. When seeking this issue, we should use God’s words and His work in the Bible as the basis, which is in accord with God’s will. Rapture – Do Paul’s Words Speak for the Lord Jesus? Question: The Bible says, “Then we which are alive and remain shall be caught up together with them in the clouds, to meet the Lord in the air: and so shall we ever be with the Lord” (1 Thessalonians 4:17). how do we explain this verse? Answer: When anticipating the Lord’s return, we should..
By Li Huan Like many brothers and sisters who truly believe in the Lord, I have been longing for the return of the Lord Jesus, holding to Paul’s words, “Then we which are alive and remain shall be caught up together with them in the clouds, to meet the Lord..
By Wang Qing It was a sultry afternoon and there wasn’t a breath of wind in the air. Wang Qing sat at the desk and studied the Bible. She saw a scripture: “Behold, the tabernacle of God is with men, and he will dwell with them, and they shall be..